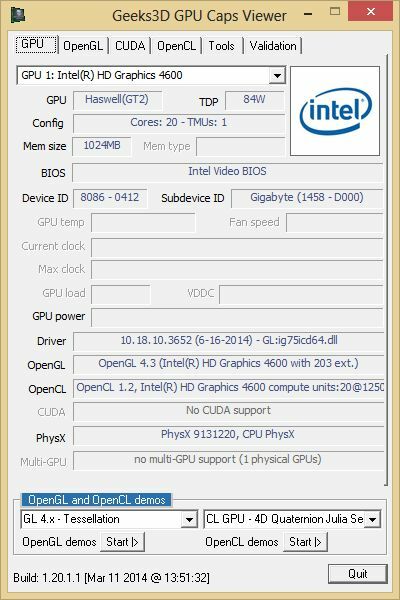 Intel has released a new graphics driver for Windows 7 and Windows 8 that brings OpenGL 4.3 support. You can download this driver from THIS PAGE. More information can be found HERE. 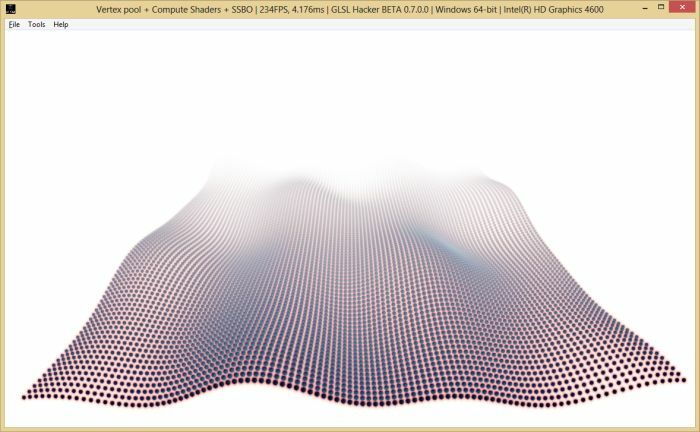 Intel has started the road to OpenGL 4.4 with GL_ARB_texture_stencil8. Good. The complete list of all OpenGL extensions can be found in THIS ENTRY of the GPU database. I tested a demo of GLSL Hacker demopack that mixes several OpenGL 4.3 features: compute shaders and shader storage buffers. This demo can be found in the host_api/gl-430-arb-compute-shader_Particles_SSBO/ folder of the demopack. Yes, indeed, both versions of compute-shader_Particles_SSBO are rendering OK, BUT compute-shader_Image_PostFX is not. What kind of issue did you encounter with the image postfx demo? Intel 10.18.10.3910 drivers for Ivy Bridge, Haswell & Bay Trail. These are older 15.33 branch, does not have OpenGL 4.3 support like 10.18.10.3652(15.36) branch drivers. Looks like Intel is first in implementing OpenCl 2.0 and being now conformant ??? https://www.khronos.org/conformance/adopters/conformant-products#opencl It’s CPU implementation first, it needs sse 4.2, fortunately i have it. Or maybe its GPU implementation, since intel developer says on forum: “.. some 2.0 features (for example SVM) require hardware support available only in future platforms. Intel has released 10.18.10.3907 drivers(15.36 branch), OpenGL 4.3 support & only Haswell is supported. Intel has released the details on their Broadwell Gen8 GPU. Intel has released 10.18.10.3960 WHQL drivers for Haswell & Broadwell.